This weekend was spent doing not much of anything. Maybe the cold weather is getting under my skin or I am just PMS-y. Friday I went to the DMV since Matt got out early. He had a team building day at work - his work even picked him up a vegan lunch from our fave Thai place down the street! I had to renew my license.It was so crowded and I hate being jammed into a room with a bunch of people. Not the best way to start off the weekend! I needed a new ID though and got to wear my gently used $12 jeggings I bought at Plato's closet - the same pair I was looking at online for $58...Score right? 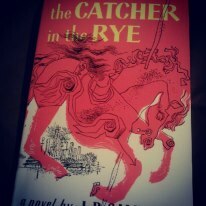 I started reading Catcher in the Rye - because you know it was banned book week...Matt recommended it to me...I spent Friday night reading while Matt broke in his new Resident Evil game! In between chapters I put up a new zine in my Etsy shop! Ohh and mending a burnt mouth - my plate of nachos tempted me way to much for me to check the temp before I took a bite! How does one fix a burned mouth the next day? An ice cold Slurpee! After Matt and I ran around looking for props for his next project and doing errands we went to 7-11. 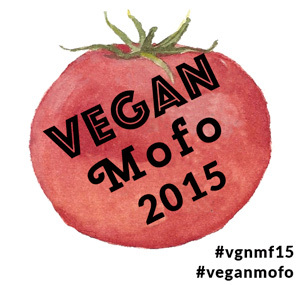 I was armed with this list hoping to score some vegan snacks. I only found the mint cookies which I shared with Matt that night. They were good - thicker square thin mint type cookies! 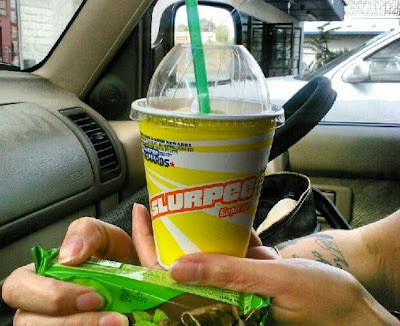 Oh - if you are wondering, the Slurpree flavor is cherry with a splash of banana at the top! Grocery shopping was another weekend event - my favorite part was getting a new rewards card with pink doughnuts all over it...Oh and I got a handful of Seventh Generation laundry soap samples at the store...I like free stuff! Maybe it is the fall weather but I am craving Speculoos spread on toasted wheat bread. I pulled out a jar this weekend and have been using it on toast...It is about lunch time now, I think I need some toast with Speculoos spread as part of my lunch! Maybe that will perk me up! 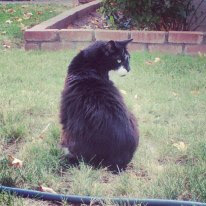 A bonus pic of Mar - we spent time playing in the yard this Saturday! I think he kinda has an eggplant shape! 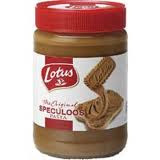 A store in the UK will be stocking Speculoos spread soon, I'm super excited about it! That picture of Mar is super cute, he totally had an eggplant shape in it!